AmoyShare AnyVid 6.2.0 was available as a giveaway on April 9, 2018! Please note that you need to create the new account to take advantage of the GOTD offer! The offer includes a 1 year license! How would you improve AmoyShare AnyVid 6.2.0? Discover free songs, download MP3 songs, play music, convert videos to audio files, and manage music library. Thanks for your interest in AnyVid for Windows. On behalf of tech support team, we would like to express our sincere gratitude to you. In order to help you better utilize this tool, we just place this post here with useful guides and more. Step 1: Fill out the form on giveaway page with valid email and password, and you just create a new AnyVid account. Be sure to remember the email and password you enter here, because you will need it again. If you've signed up for AnyVid or other AmoyShare products (AnyMusic, AnyUTube) before, you only need to enter the email address and click on "Get it for free." Step 2: After installation, run the program, and log in with your AnyVid account (the one you just created), and the license will be registered. If it still shows “Free Trial,” you need to restart the program for registration to be applied. 1. This giveaway only applies to users who haven't subscribed to AnyVid plan nor haven't taken part in AnyVid giveaway before. 2. The 1-year license is still valid if you update AnyVid later. 3. AnyVid is also available for Mac, you can click here to learn more. https://www.amoyshare.com/anyvid-mac/. AnyVid Team, 64-bit windows only? Brad: always sensible to check a developer's website for information about a product. The answer to your question appears on Amoyshare's. What doesn't appear is any explanation as to why anyone in their right mind would pay for video download software: there's so much excellent freeware out there that one can only stare in amazement at Amoyshare's delusion it can rent out something as simple as this -- based on Open Source components for which it was never responsible in the first place -- at $39 recurring. As for having to open an account to actually use a, uh, video downloader . . . words fail. <b>Brad: </b> always sensible to check a developer's website for information about a product. The answer to your question appears on Amoyshare's. What doesn't appear is any explanation as to why anyone in their right mind would pay for video download software: there's so much excellent freeware out there that one can only stare in amazement at Amoyshare's delusion it can rent out something as simple as this -- based on Open Source components for which it was never responsible in the first place -- at $39 recurring. As for having to open an account to actually use a, uh, <i>video downloader</i> . . . words fail. MikeR, Free video downloaders don't work for all sites and video formats. As I don't know this one, I can't say if it's any better than freeware, but there's certainly a market niche for a comprehensive video downloader. As for the registration procedure, I don't like it either, but it's not totally unreasonable, nor is this the only free offer that asks for it. Personally, I dislike most the one year use restriction. MikeR, Free video downloaders don't work for all sites and video formats. As I don't know this one, I can't say if it's any better than freeware, but there's certainly a market niche for a comprehensive video downloader. As for the registration procedure, I don't like it either, but it's not totally unreasonable, nor is this the only free offer that asks for it. Personally, I dislike most the one year use restriction. Mike, and after getting an account and using it, one year? Mike, Did you read the Readme? To activate your free copy visit the page below, fill in the form to create the new account. Run the program and choose "Login" in the top right corner. Use your email and password, you have created filling the form before, to log into the program. .. . . .. .
You need to create a new AnyVid account and log into the program to register the license. For more details, you can check the first comment. Mike, You need to create a new AnyVid account and log into the program to register the license. For more details, you can check the first comment. MikeR, i have been using Frostwire for a long time, and that's free. Video Downloaders have to be updated on a regular basis which I assume the 1-yr license would cover. Anyway, I use "4K Video Downloader" which is updated regularly and is absolutely free, so I agree with you on your point that "one can only stare in amazement" at the software's asking price. Mike, Video Downloaders have to be updated on a regular basis which I assume the 1-yr license would cover. Anyway, I use "4K Video Downloader" which is updated regularly and is absolutely free, so I agree with you on your point that "one can only stare in amazement" at the software's asking price. AnyVid Team, did this, still says 14 day trial, which disappears after few seconds.Restart app, reopen, still does same thing.HOW do you know if it is registered or not ? I have closed it and reopened several times.Still says 14 day trial. Winndows 10 pro. I even downloaded from you site, still does same thing. Hi Ray, thanks for your feedback! We are working on the problem! According to your description, you've resigtered succussfully for sure. Pls feel free to use it! saying as for 64 bit . Failed to load a window onto the display screen or what did appear was not interactive, just sat there. 2 Windows 7 4 PCs. Failed to load a window onto the display screen or what did appear was not interactive, just sat there. 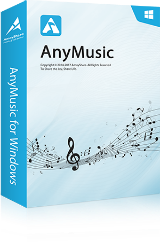 2 Windows 7 4 PCs. .
Hi Peter Blaise, can you send email to support@amoyshare.com with screenshots? We will follow up this problem. Thanks! of course mine is 64 bit, as I said in my original comment. I see somehow GAOTD stripped off the part of my comment that listed the Trojan that Windows defender found. I copy and pasted the name in there, but it got stripped, maybe with some anti-trojan software. Also, I tried 3 times, with the exact same result each time. Gave up at that point. so if anyone there cares to improve things, the message is that on my very new, very standard (this software would have been the weirdest thing on my system) Win 10-64 system, using only Microsoft's Windows Defender, something about your installation indicates that it contains a Trojan, whether or not there is really a Trojan in there. AnyVid Team, of course mine is 64 bit, as I said in my original comment. I see somehow GAOTD stripped off the part of my comment that listed the Trojan that Windows defender found. I copy and pasted the name in there, but it got stripped, maybe with some anti-trojan software. Also, I tried 3 times, with the exact same result each time. Gave up at that point. so if anyone there cares to improve things, the message is that on my very new, very standard (this software would have been the weirdest thing on my system) Win 10-64 system, using only Microsoft's Windows Defender, something about your installation indicates that it contains a Trojan, whether or not there is really a Trojan in there. Hi dre, you can try to download it again from our site: https://www.amoyshare.com/anyvid/. If there is still problem, pls send email to support@amoyshare.com. We will keep following up. failure to load nice program! Hi, I've just tested password reseting and it is workable. Pls check your junk-box. Tried to download a video with AnyVid that I had already successfully downloaded with a previous GOTD "Allavsoft". The only choices presented by AnyVid were two mp3 audio files. Should be called "AnyVid but the one you want". Not a lot of use to me. Tried to download a video with AnyVid that I had already successfully downloaded with a previous GOTD "Allavsoft". The only choices presented by AnyVid were two mp3 audio files. Should be called "AnyVid but the one you want". Not a lot of use to me. Uninstalled. It didn't provide access to all available download options (like high definition) and the downloaded versions were of poor quality. Brian, I have been using a FREE "VDownloader" for a long time, and it's very good quality. Hi Steven Nicholls, and thank you for your tip. I have just installed and tried "VDownloader" - but it wasn't even able to perform a download from the site I'm testing on. It stays in a state saying: "preparing"
and nothing else happens. There is a wheel, that keeps spinning around without progressing. Anyvid was at least able to perform a download - though it was only of poor quality. Hi Steven Nicholls, and thank you for your tip. I have just installed and tried "VDownloader" - but it wasn't even able to perform a download from the site I'm testing on. It stays in a state saying: "preparing" and nothing else happens. There is a wheel, that keeps spinning around without progressing. Anyvid was at least able to perform a download - though it was only of poor quality. Thank you anyway !!! Hi Brian, the highest denifition we can provide depends on video source. If the highest definition of video is 1080p or 2160p, we can definately provide such high definition video downloading. While if the highest definition of video is 720p or less, in fact we can increase definition and provide false high definition but we are not willing to do that. It's meaningless, right? Dear AnyVid Team, thank you for your reply. The problem was, that the available high definition videos on the website were not listed (available for download) in AnyVid. I don't know, if AnyVid had a problem in recognizing/detecting them. Besides that, it looks like a great program, you have made ! Dear AnyVid Team, thank you for your reply. The problem was, that the available high definition videos on the website were not listed (available for download) in AnyVid. I don't know, if AnyVid had a problem in recognizing/detecting them. Besides that, it looks like a great program, you have made ! Thanks again. Hi Steven Nicholls, it works perfectly on Youtube - but not on the website, I tested it on (one that is on the list of their approved websites). I still appreciate your tip, thanks !!! Hi Steven Nicholls, it works perfectly on Youtube - but not on the website, I tested it on (one that is on the list of their approved websites). I still appreciate your tip, thanks !!! Downloaded and installed fine on my win 7 x64, tested a few sites, everything seems to work fine. My only suggestion would be to clean up the interface some, it seems kinda cluttered. Downloaded and installed fine on my win 7 x64, tested a few sites, everything seems to work fine. My only suggestion would be to clean up the interface some, it seems kinda cluttered. Hi Laura, thank you for your advice. We'll consider your proposal. Laura, can you pls let us know which interface you think is kinda cluttered? AmoyShare AnyVid 6.2.0 activated — what next? but program does not install. Re downloaded, and tried again, but program does not install! Downloaded, registered with a new email address, but when clicked on setup.exe, keep getting AmoyShare AnyVid 6.2.0 activated — what next? but program does not install. Re downloaded, and tried again, but program does not install! Don’t mean to come across like an idiot, What is the Benifit of downloading a video when I can look on YouTube anytime to find what I’m looking for? Why use up my pc hardrive space! Sometimes videos get removed from youtube. [ Charles ], having your own copy gives you control, you can watch even if off the web, and even if video is taken down.
. [ Charles ], having your own copy gives you control, you can watch even if off the web, and even if video is taken down. . It seems to affecting the typing of words by injecting mis-spelt words in place of the intended ones. bart, It seems to affecting the typing of words by injecting mis-spelt words in place of the intended ones. Bill, so how do you propose to solve this ? Sorry for inconvenience! Pls uninstall AnyVid and reinstall it! Hi Bart, Sorry for inconvenience! Pls uninstall AnyVid and reinstall it! if it works will you send me a registration code ? AnyVid Team, if it works will you send me a registration code ? Hi bart, have you registered in https://www.amoyshare.com/promotion/anyvid/? If you did, just logged in AnyVid and you will feel free to use it. If you did not, I'm afraid the giveaway is end. But you can buy Lifetime License with a very cheap price. Only $19.99, you can get the shared plan for up to 3 computers. There are 5 categories, Search, Discover, Convert, Library and Account. The first one is obvious, based on URL or keywords. The second one is nothing more than a browser within the program that allows for discovering and downloading stuff from more than 1000 sites (as they claim), i haven't tested all 1000 sites nor have i counted them all ofc but those i tested randomly worked. One funny thing i spotted, the Adult category has more supported sites than Education, that's very telling. ;D Now the third category, that's a video converter for local media, not only video, audio aswell. Input and output formats are common, the converter options are too. The last category lists all downloaded and converted media or stuff in progress, so you won't miss anything and can find it later. A thing that bothers me is the almost hidden language change option in the fifth category, that should be more obvious and part of the main menu. And there is no indication how long the program in question keeps working, no mention of any 1 year timeframe in the account tab. I still have the version from October last year given away here, so login works, everything else too. I'll guess one ends up with using the program today and have it expired directly under the nose the other day. Why would one come up with a annual subscription plan and then not tell the user or customer how long their plan lasts? Out of words there. Also from what other posted so far, if you run out of subscription and a official update comes out, you won't be able to update without the license expiring, so you'll end up with parts of the program not working correctly anymore or locking you out, forcing you to update. Other than that the program works as intended. Aside from the numerous online sites for video downloads, there is Freemake Video Downloader, ClipGrab, 4K Video Downloader (Freemium), Fast Video Downloader (Freemium), Free Studio has a Youtube Downloader aswell and not to forget all the Dimo giveaways in the last few months with a downloader and converter on board. There are 5 categories, Search, Discover, Convert, Library and Account. The first one is obvious, based on URL or keywords. The second one is nothing more than a browser within the program that allows for discovering and downloading stuff from more than 1000 sites (as they claim), i haven't tested all 1000 sites nor have i counted them all ofc but those i tested randomly worked. One funny thing i spotted, the Adult category has more supported sites than Education, that's very telling. ;D Now the third category, that's a video converter for local media, not only video, audio aswell. Input and output formats are common, the converter options are too. The last category lists all downloaded and converted media or stuff in progress, so you won't miss anything and can find it later. A thing that bothers me is the almost hidden language change option in the fifth category, that should be more obvious and part of the main menu. And there is no indication how long the program in question keeps working, no mention of any 1 year timeframe in the account tab. I still have the version from October last year given away here, so login works, everything else too. I'll guess one ends up with using the program today and have it expired directly under the nose the other day. Why would one come up with a annual subscription plan and then not tell the user or customer how long their plan lasts? Out of words there. Also from what other posted so far, if you run out of subscription and a official update comes out, you won't be able to update without the license expiring, so you'll end up with parts of the program not working correctly anymore or locking you out, forcing you to update. Other than that the program works as intended. Aside from the numerous online sites for video downloads, there is Freemake Video Downloader, ClipGrab, 4K Video Downloader (Freemium), Fast Video Downloader (Freemium), Free Studio has a Youtube Downloader aswell and not to forget all the Dimo giveaways in the last few months with a downloader and converter on board. Hi kui, thank you for your advice. We'll consider your proposal. kui_, I tried Anyvid on Youtube. It wasn't able to download the high quality videos, so all alternatives will be better. Please, can you tell if it can download videos from Adobe Connect? Thanks. Hello, Please, can you tell if it can download videos from Adobe Connect? Thanks. Yes, you can download videos from Adobe Connect. Just right click to copy video URL and paste it into searching bar. The video can be downloaded. Hi Jorge, Yes, you can download videos from Adobe Connect. Just right click to copy video URL and paste it into searching bar. The video can be downloaded. Thank you for your evaluation! If you haven't purchased nor taken part in AnyVid giveaway before, you still can take part in this activity. Hi alireza, Thank you for your evaluation! If you haven't purchased nor taken part in AnyVid giveaway before, you still can take part in this activity. This software is given away often on other giveaway sites. I grabbed it on one of them and it worked great for the first couple of times that I used it, then it sat on the desktop for a couple of months unused because I did not download anything, then when I went to use it again, it had changed to not allow video downloads anymore. I unchecked all the updates when I first downloaded it, so it wasn't that, it just stopped working. Updating AnyVid to the latest version, you can use it normally. Hi Jose, Updating AnyVid to the latest version, you can use it normally.